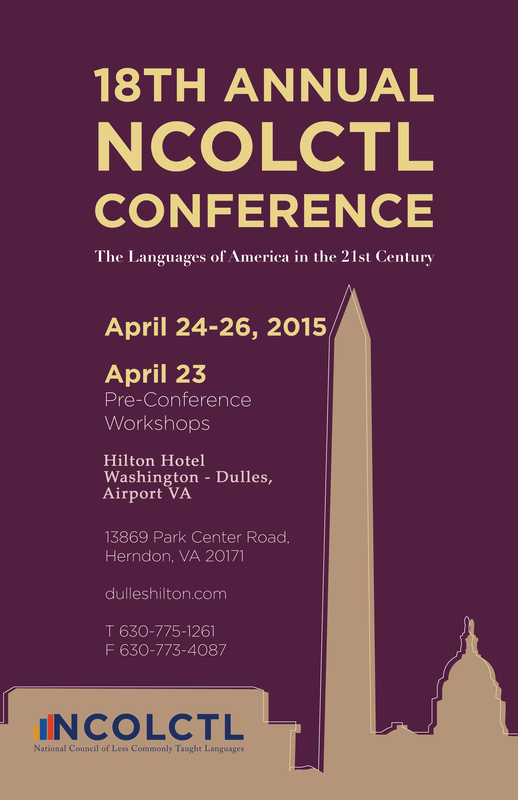 The 18th annual conference of the National Council of Less Commonly Taught Languages (NCOLCTL) is scheduled for April 24-26, 2015 at the Hilton Hotel Washington - Dulles, Airport VA (with pre-conference workshops scheduled for April 23rd, 2015). NCOLCTL constitutes a national mechanism devoted to strengthening the less commonly taught language professions and principally directs its efforts to building a national architecture for the for the LCTL field and in making the fields resources accessible to language programs and language learners around the United States. 3. Jacque Bott Van Houten has a BA, MAT University of Louisville, MAT University of Cincinnati, Ph.D., Miami University of Ohio. 4. Dr. William P. Rivers is the Executive Director of the Joint National Committee for Languages and the National Council for Languages and International Studies.